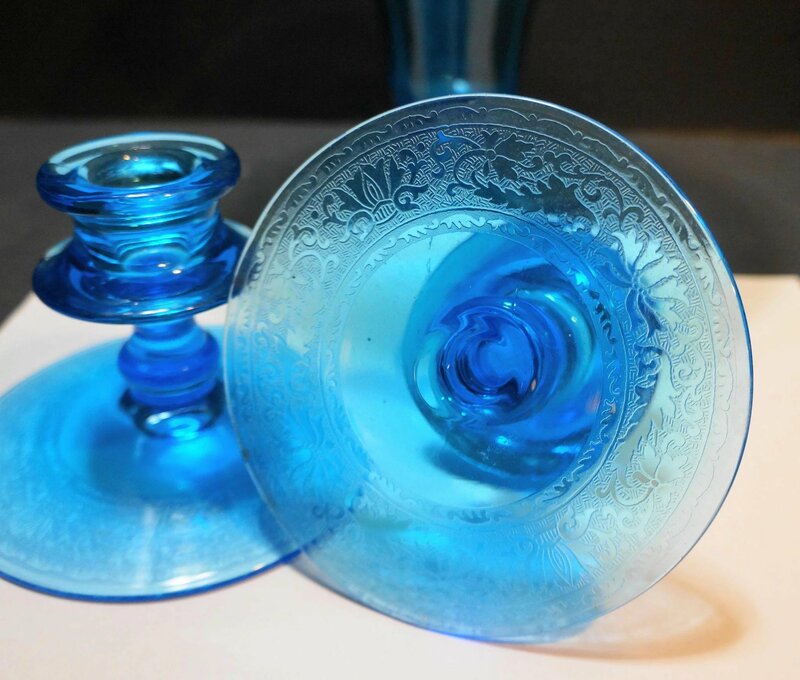 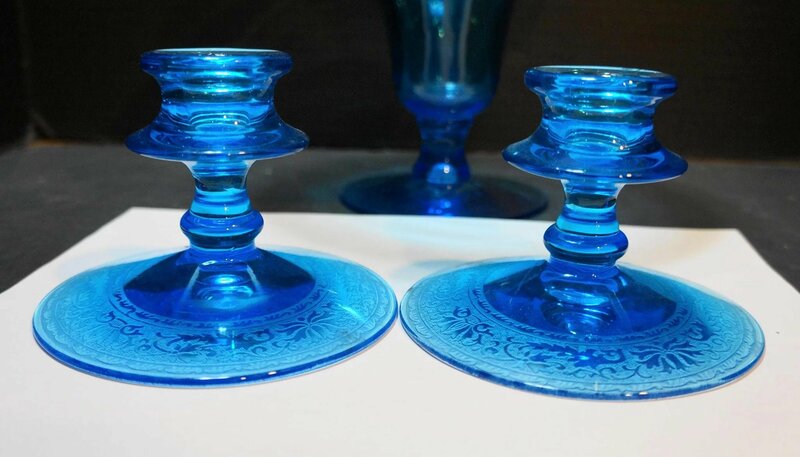 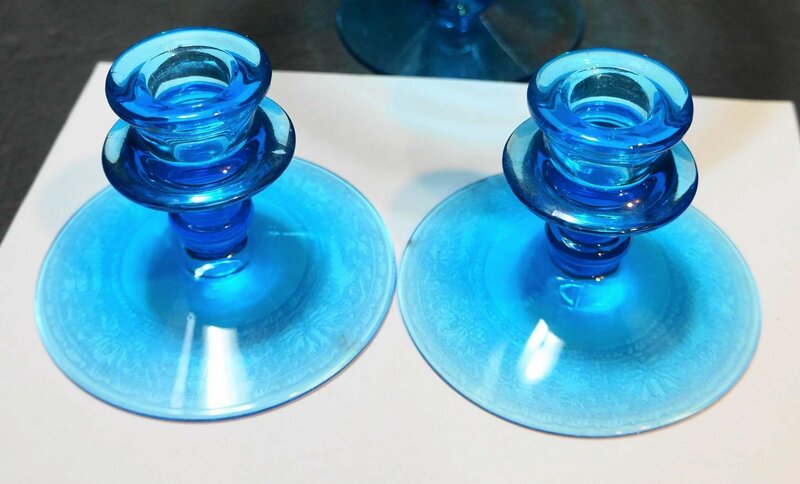 This is a Fostoria Royal Blue Etch #273 set of a tall trumpet vase and matching low candle holders. 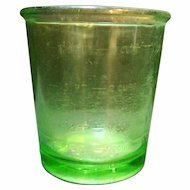 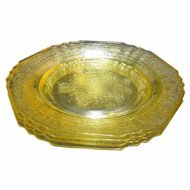 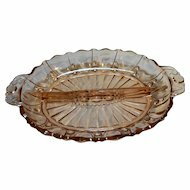 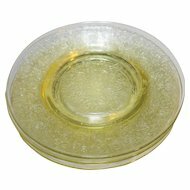 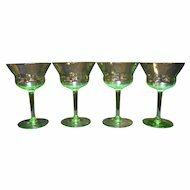 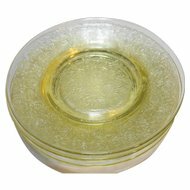 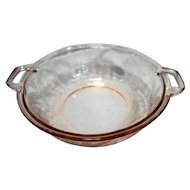 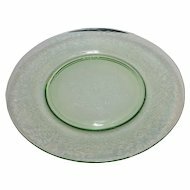 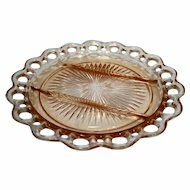 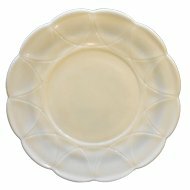 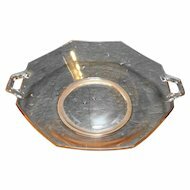 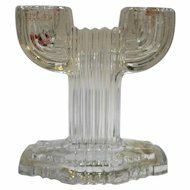 This is an elegant Depression Glass pattern. 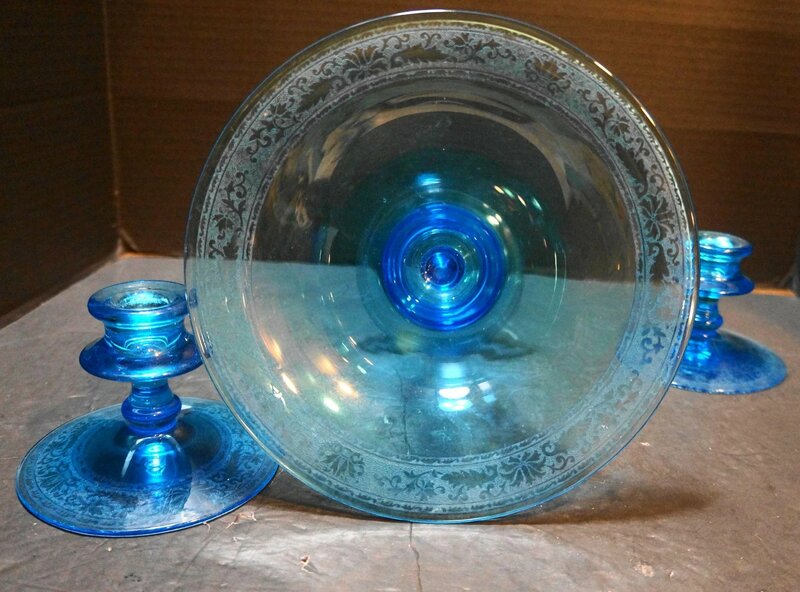 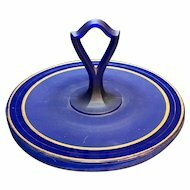 Fostoria produced Royal Blue (more of a brilliant electric or capri blue) with the etch #273 from 1925-1927, so it actually predates the Depression Era slightly. 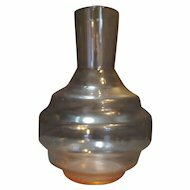 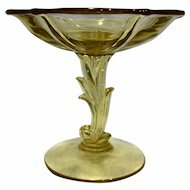 The trumpet vase is 8 1/2" wide and 6 3/4" tall. 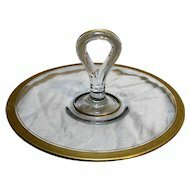 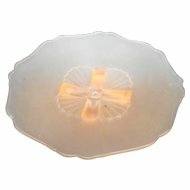 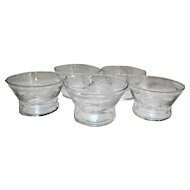 Each low single light candle holder is 4 1/2" x 3 1/8." 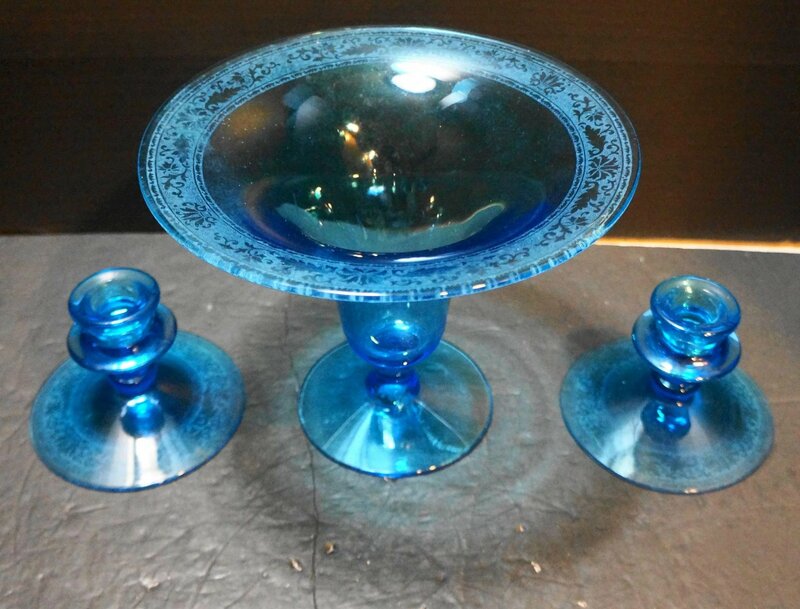 All three pieces are in excellent condition with no chips or cracks.